Adam first stepped on stage back in 2010, aged just 18. 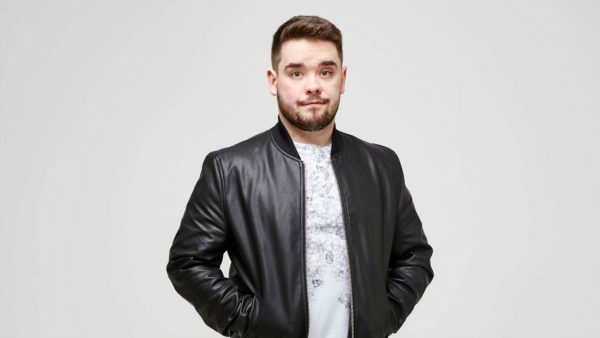 A little over a year later he was named Liverpool Comedian of the Year and has since gone on to establish himself as one of the most exciting young acts in the country. A combination of observations, stories and a ferociously quick wit make Adam not only a strong act, but a formidable MC. As a result he was asked to MC the prestigious Big Value Showcase at The Edinburgh Festival 2014.His undeniable likability has led to constantly growing fan base and two sell out solo shows at The Liverpool Comedy Festival (2013 & 2014), with his Edinburgh debut set to be 2016. It may be a cliche, but there seems to be no stopping this hotly tipped young scouser.